Imperial will be an unforgettable 4-day weekend getaway for adults in the Magimundi wizarding universe set it modern day. 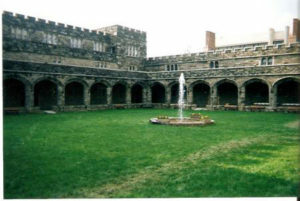 Players take on the roles of students at a prestigious magical college. We promise you amazing adventure – and a fulfilling unique experience. Together with the other players you’ll make new friends, learn how to cast spells, team up against rivals, attend classes, battle wizards and monsters, and live in a magical world aided by costumed staff and professors and fellow players. 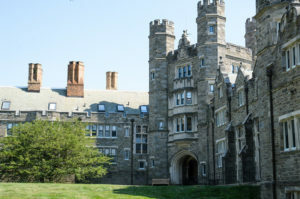 Step into the immersive atmosphere of Bryn Mawr College – magical Gothic architecture, grassy quads and plenty of nooks and crannies filled with mysteries to uncover. Professional grade makeup, including full-body monster suits, will bring the magical Magimundi to life all around you. As a student at a magical college your days will be filled with both lessons, friendship, and balls, but also difficult ethical choices and experiences that will stay with you long after the weekend is over. Imperial College uses magical adventures to explore real contemporary issues: you will enter a university grappling with problems from past and present. Perhaps the character you play is part of the elite and strive to uphold the system? Or maybe instead you will play a rebel trying to undermine it from within. Or, it’s possible to come, have a light-hearted time, and enjoy learning and having fun at a wizard college. Imperial is designed to suit both brand new players as well as veterans of immersive theater and LARP. All participants receive expert support from character coaches and experienced players who act as Professors and Court Prefects. Once you have purchased a ticket, we will guide you with as much assistance as you would like to ensure you have a great experience!